December 2005 will be a month for both governmental and non-governmental gathering in Hong Kong. We expect many independent media will gather in Hong Kong to report on the WTO ministerial meeting, as well as the anti-WTO NGO forum and demonstration. 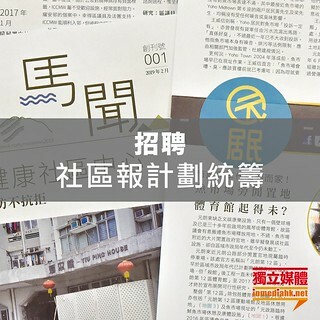 Independent media in Hong Kong has started to flourish in the past few years, after the July 1 demonstration in year 2002; educators also start to explore new media as a mean for civic education or critical pedagogy. We would like to seize this international occasion to organize a series of discussion for independent media groups from all over the world to share their experience in using new media for engaging with the society, and to explore potentials for border-crossing cooperation. This session aims at exploring and sharing the intellectual, social and political context for participatory journalism and independent media movement. How can independent / internet media transform the society? How is the new media form related with the imagination of the boundary and social relation of our society ? How can it open up spaces within the existing cultural and political spectrum? How does it relate with the emergence or transformation of social and political character of citizen? Huang Sun Quan: Chief editor of Pots magazine in Taiwan, a founding member of TWIMC and TWblog. Lee Jong Hoi: President of Chamsaesang (an internet based multi-media in S.Korea, specialized at news concerning NGOs sectors). Most of the mainstream media are very limited in cross-border perspectives, the so-called international news are mostly about the West or highly international relation which is dominated by governmental or nationalistic concerns. Many of the new media aim at creating an international community among people and they are more aware of the communication among non-western world. In this session, we would like to share the experience in the initiative for border-crossing dialogue: How can the new media facilitate border-crossing dialogue? How to transgress language barriers and contextual differences in communication? What are the major challenges for such initiatives? Gabi Hadl: from indymedia network, IMC was formed in 1999 after the Seattle anti WTO gathering. Roland Soong: the Author of EastSouthWestNorth, an English blog focusing on News from China and Latin America. Pranjal Tiwari: Z-net representatives in Hong Kong, editor specializing in Hong Kong and Chinese News. Z-net is an internet based magazine organized by critical intellectuals and independent media workers in U.S.
David Kootnikoff, editor and reporter from Ohmynews based in Hong Kong. What is the relation between new media and citizen education or critical pedagogy? How can we use media to cultivate critical, reflective and engaging subject? Oiwan Lam: a founding member of Hong Kong In-Media, www.inmediahk.net , which has been actively promoting citizen reporting in their web-based media. Chitat Chan: convernor of media education resources net www.HKmediaEd.net Phd Candidate in Education, London U, a teacher in creative media. Jo Dong-won: MediAct from South Korea on media and grassroots education. Raijeli Nicole, executive director, ISIS International. A critical review on the development of Chinese internet media in the past few years, its implications for different Chinese communities. Editor from Coolloud: Coolloud.net is a major web-based alternative media in Taiwan, specialized in news concerning social movements, ngos and globalization. Michael Anti: a journalist-blogger in China. Jack Qiu: professor from the journalism and communication department in CUHK, a founding member of the Chinese internet research network. Isaac Mao: an advocator for the development of social software in China. Target group: This workshop is organized for those who would like to join citizen reporting during the WTO period and who would like to build their own media or actively participate in other independent media in the future. Session one: Context of independent media movement and introduction to existing resources and technique for developing your own media. Hong Kong Confederation Trade Unions Employees Retraining Center：3/F, Hamilton. Commercial. Building, 558-. 560 Nathan Road, Kowloon.